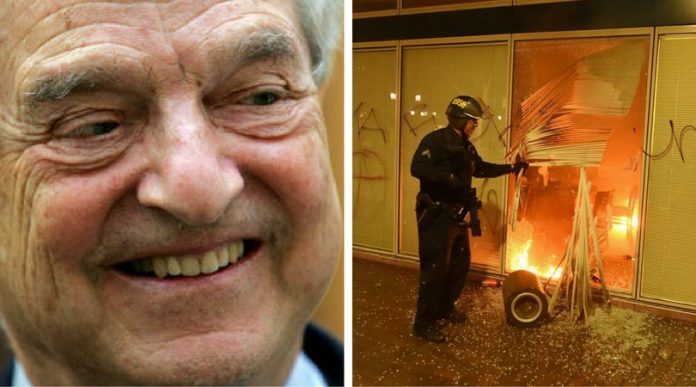 George Soros has boasted about plans to roll out nationwide riots across the U.S. if Mueller drops his Trump Russia probe. Donald Trump is publicly considering firing special counsel Robert Mueller, the person leading the Department of Justice investigation of possible illegal actions by Donald Trump and members of his presidential campaign, and the efforts to conceal those activities. This would be a constitutional crisis for our country. It would demand an immediate and unequivocal response to show that we will not tolerate abuse of power from Donald Trump. Our response in the minutes and hours following a power grab will dictate what happens next, and whether Congress—the only body with the constitutional power and obligation to rein Trump in from his rampage—will do anything to stand up to him. That’s why we’re preparing to hold emergency “Nobody is Above the Law” rallies around the country in the event they are needed. Intellihub.com reports: Now the snowflakes at MoveOn.org are saying that it would be a “constitutional crisis” if Trump were to fire Mueller and vow to hold emergency “Nobody Is Above the Law” rallies in all 50 states.